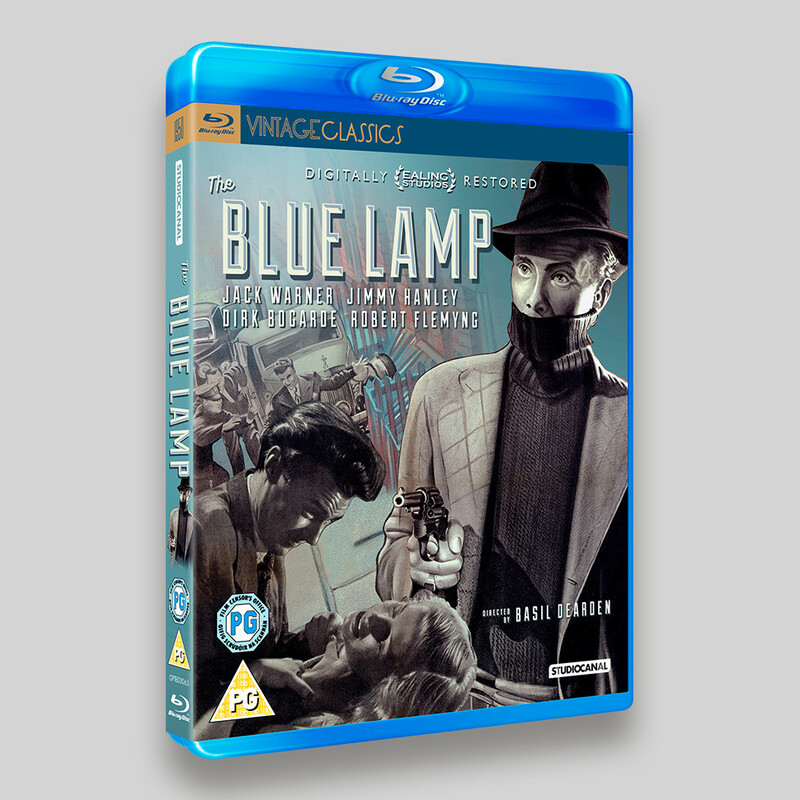 The Blue Lamp is an Ealing Studios Vintage Classic title from StudioCanal. 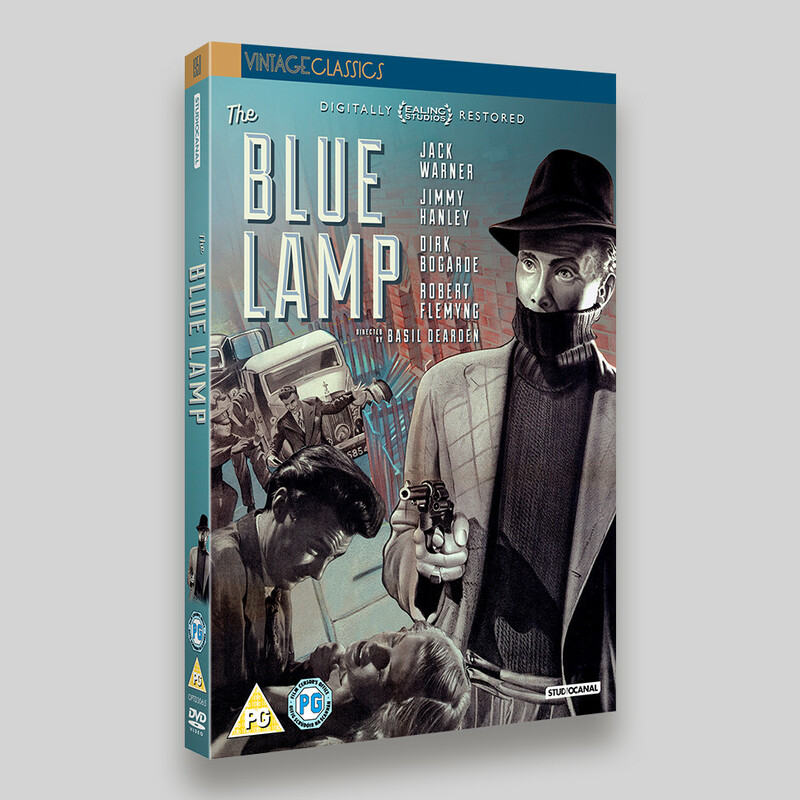 An immensely popular British crime film, Basil Dearden’s The Blue Lamp was scripted by ex-policeman T.E.B Clark, the writer who arguably did most to define Ealing Studio’s post-war identity. The film marked the first appearance of the character, PC George Dixon – later to be immortalised in the TV series Dixon of Dock Green. The story follows two London policemen whose daily routine is interrupted by a botched robbery and subsequent murder hunt. 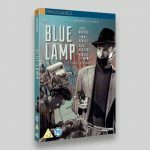 Starring Dirk Bogarde and Jack Warner it was originally released in 1950. This is another example of a really satisfying retouched sleeve. The original poster was used as a base, but the existing text was removed and replaced. The elements of the sleeve were masked off and repositioned according to the version of the sleeve and it’s proportions and the title treatment version. The Blue Lamp is out today (12th December 2016) on Blu-ray and DVD.